Since 2008, we have been developing many different kinds of projects starting all of them full of illusion thanks to our motto. Do you want to know it? Obviously, not every project is “amazing” or “awesome”, or makes you feel butterflies in your stomach all day long. But if you carry out your work with PASSION and LOVE you will feel better for sure at the end of the day. That’s what we think and this is what we do everyday. Ok, you’re right… maybe some tasks aren’t pretty lovely or not all people around us inspire us, nor will they inspire you… but a whole lot of them are absolutely amazing and whoever is not knows it him- or herself (all the office knows who they are XD) – there should be one of every kind. WORK WITH US AND LET US MAKE YOUR LIFE EASIER. Doing your work with PASSION and LOVE is amazing, but spending time with the people who really love you is even better. That’s why we make sure to carry out all the work for you in the projects – giving you the possibility to spend more time with your family, partner, friends… the people that truly matter in your life. HAZ TODOS LOS DÍAS ALGO QUE AMES. TRABAJAMOS CON GENTE QUE NOS INSPIRA. 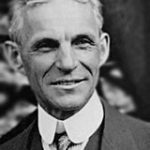 De acuerdo, no toda la gente que nos rodea nos inspira, estamos seguros que a ti tampoco. Pero hay mucha otra que es absolutamente increíble y única. Afortunadamente quien no lo es también lo sabe… incluso toda la oficina lo sabe XD tiene que haber de todo ¿no? HACEMOS LA VIDA MÁS FÁCIL A LOS QUE TRABAJAN CON NOSOTROS. Hacer tu trabajo con PASIÓN y AMOR está genial para sentirse realizado y completo, pero tener tiempo para contarle esto a quien TE QUIERE, es mucho mejor. Por eso, nos solemos encargar de todo para tu tengas mas tiempo que dedicar a tu familia, pareja, amigos… vamos la gente que realmente te importa. We are people with social concerns and we consider ourselves more than a MKT and Services Agency. We want to achieve a better world for everybody and that’s why we collaborate with ROOSTERGNN. FACTHOUS is the proudly benefactor of the NEED-BASED SCHOLARSHIPS program for young journalists and communicators within the Cuba and Spain Internship Seminars students. Until now, we have supported more than 44 students and counting! Somos gente con inquietudes y nos gusta pensar que, además de al desarrollo de proyectos, dedicamos nuestro día a día a que el mundo sea un lugar un poco mejor, por eso colaboramos con ROOSTERGNN. FACTHOUS es el orgulloso patrocinador el programa de NEED-BASED SCHOLARSHIPS para jóvenes periodistas y comunicadores para alumnos de los Internship Seminars de Madrid y Cuba. Actualmente ya hemos becado a más de 44 estudiantes y seguimos subiendo. – José Luis Barrionuevo Q.
ROOSTERGNN Global News Network is a non-profit news agency that promotes freedom of expression and journalism education. Committed to training the next generation of journalists, ROOSTERGNN has its own Academy, providing students from all over the world the opportunity to obtain real-world experience and the necessary tools to pursue a career in the worlds of journalism and communications. At ROOSTERGNN Academy, there are no traditional classrooms and conventional lectures; instead, students form part of interactive Editorial, Marketing and Social Media Meetings, learning from the Experts and acquiring hands-on experience in the latest communication technologies. We currently offer hands-on Academy programs in Madrid, Spain and Havana and Trinidad, Cuba. For us, everything is about people and communication. We are passionate about all forms of expression that unite human beings. 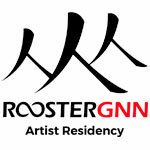 That is why we moreover created the ROOSTERGNN Artist Residencies in Madrid, Spain and Havana and Trinidad, Cuba, both inspiring environments to foster artistic development, professional success and personal growth. 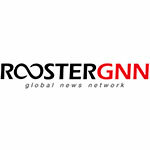 ROOSTERGNN Global News Network es una agencia de prensa sin ánimo de lucro que promueve la libertad de expresión y la formación periodística. 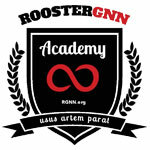 ROOSTERGNN cuenta con su propia Academy, que surge de la necesidad de formar a los estudiantes de periodismos y futuros comunicadores en las nuevas tecnologías de comunicación. Nuestros programas se basan en experiencia y formación práctica. 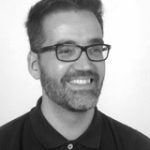 En ROOSTERGNN Academy no existen aulas, sino que los estudiantes se integran en consejos de redacción y comunicación al uso, de este modo conectamos estudiantes y expertos y dotamos a estos de métodos e instrumentos propios de los profesionales. Actualmente ofrecemos programas de formación práctica de la Academy en Madrid, España y La Habana y Trinidad, Cuba. Read the full story behind ROOSTERGNN, its Academy and Residency here, as narrated by their Director and Founder, Isabel Eva Bohrer.